The Heart of Vermont Chamber of Commerce’s The “Diamonds in the Rust” car show sponsored by the Heart of Vermont Chamber of Commerce will be held on Saturday, July 13, from 9:30 a.m. to 3:30 p.m. at Dona’s Care Store field, 154 Lower Wolcott St., Hardwick. Restored antique vehicles to unrestored barn treasures from around the state have pre-registered but spur-of-the-moment exhibitors are also encouraged to come on the day of the event. The oldest vehicle registered so far is a 1924 Larrabee's truck. Fords of the 1930's are well represented, including Lt. Gov. 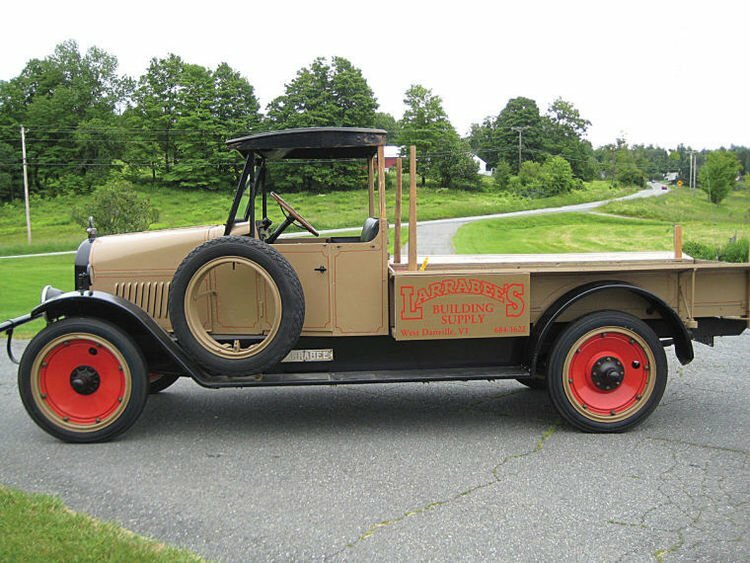 Phil Scott’s Model A, “Lightning,” as well as General Motors and Chrysler products. Those who stop by will be able to enjoy the retro look of hot rods, doodlebugs, working trucks, and motorcycles, as well. There will be a prize for the people’s choice vehicle of the day. Food from Sambel’s and Connie’s Kitchen and ice cream from Kingdom Creamery will be available on site. Make a day of it in the Northeast Kingdom by visiting the car show in Hardwick and then head to the 43rd Annual Antiques and Uniques Festival from 10 a.m. to 4 p.m. on Craftsbury Common. Vehicle registration and spectator admission is free, although donations are welcome to benefit Chamber of Commerce programs. Information and vehicle registration: heartofvt.com;chamber@heartofvt.com; 472-5906.